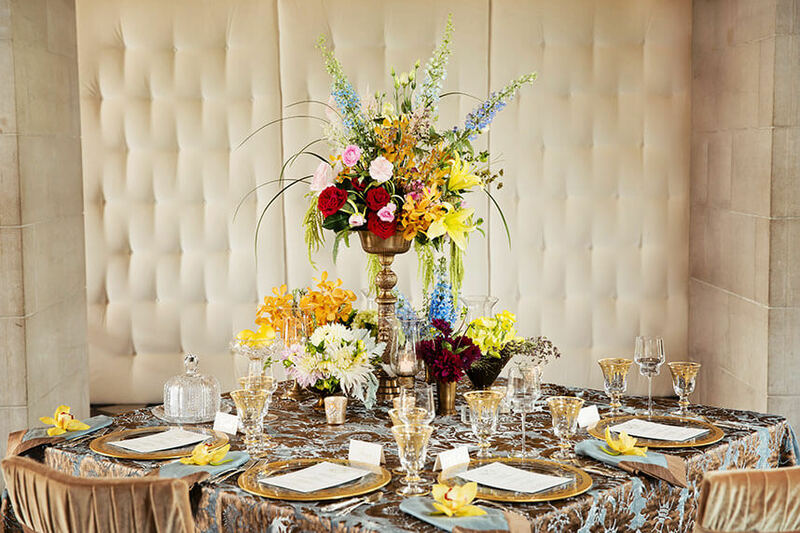 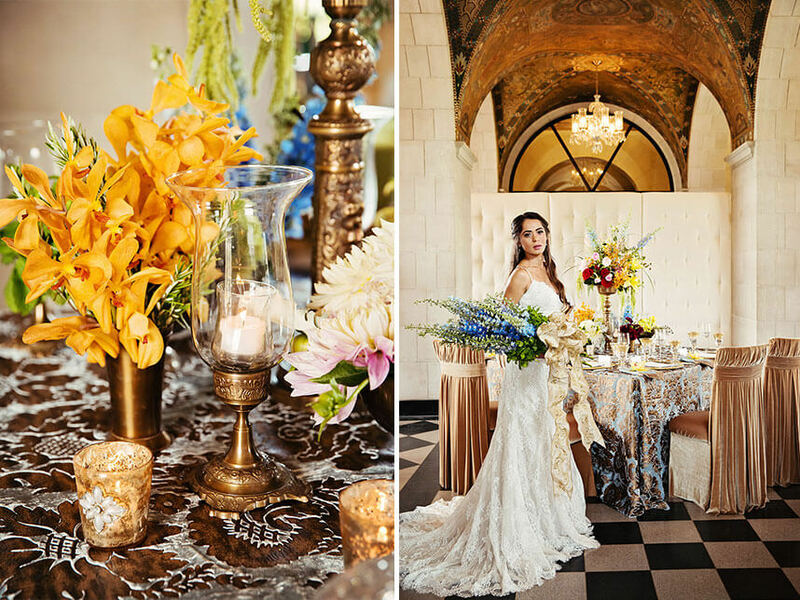 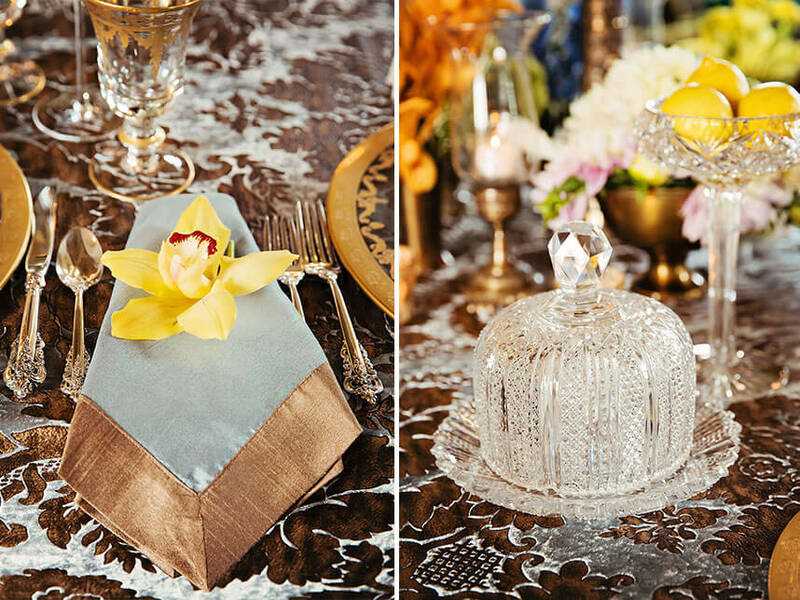 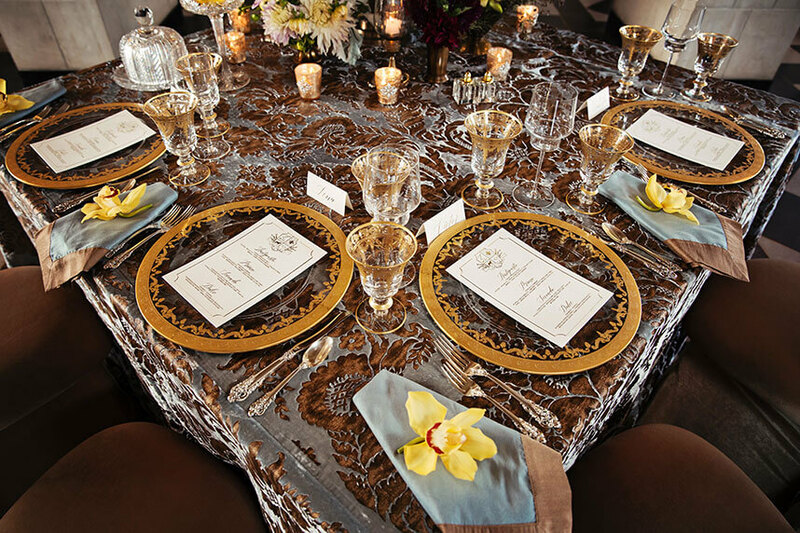 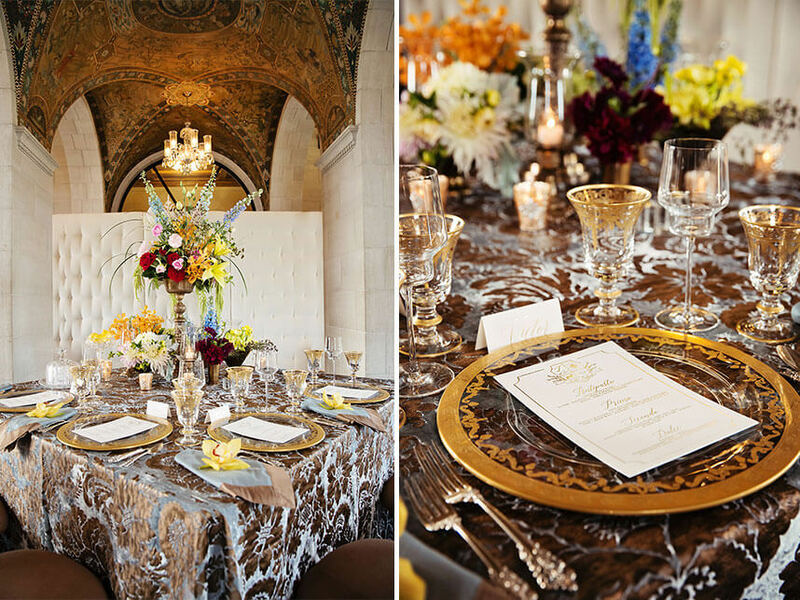 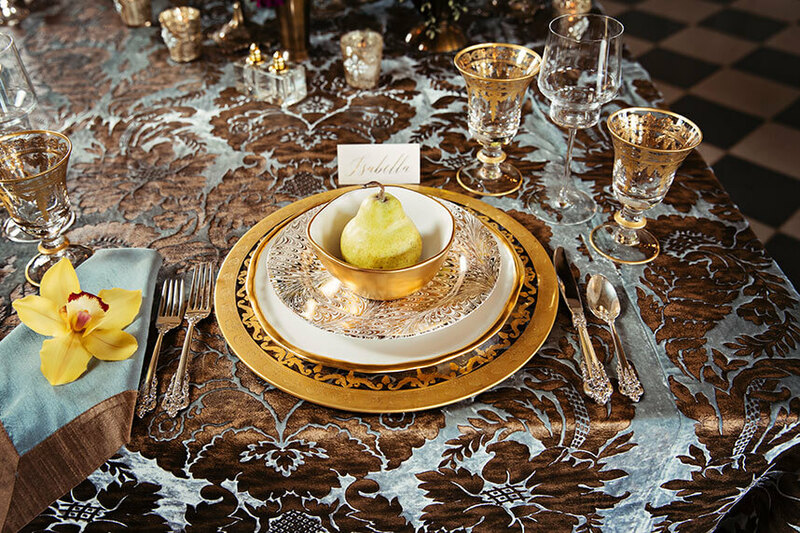 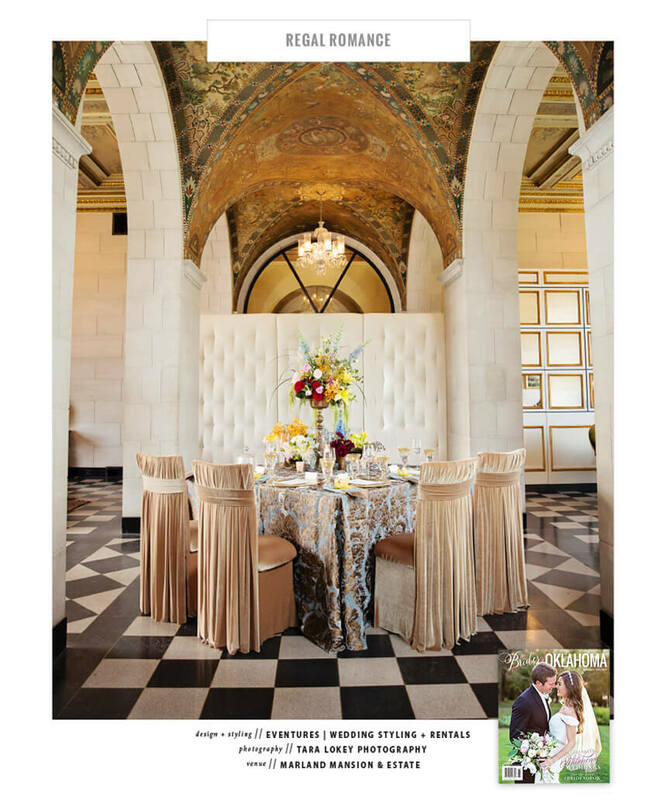 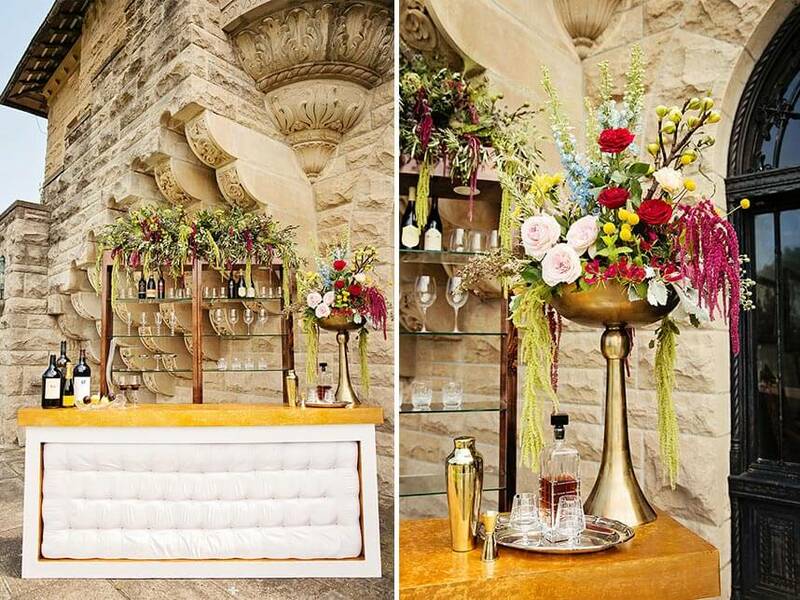 For a glamorous and regal wedding, we love this design by Eventures | Wedding Styling + Rentals! 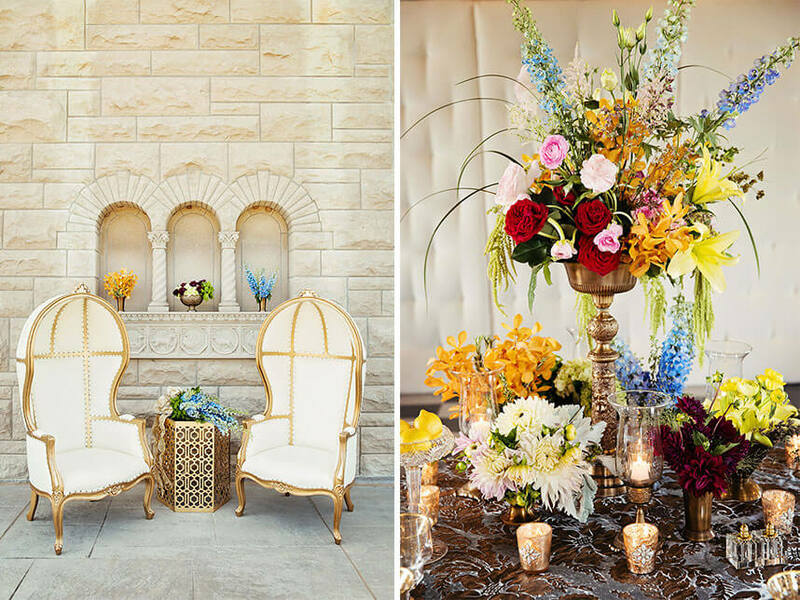 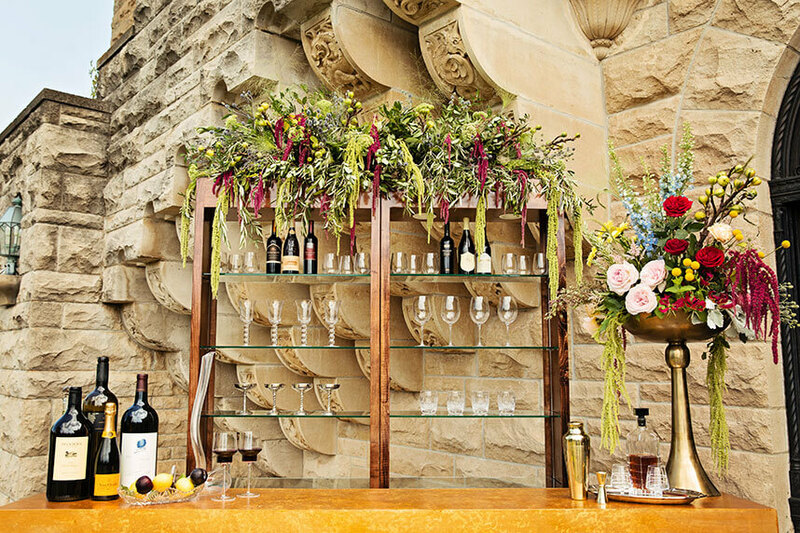 Marland Mansion & Estate provided the perfect over-the-top atmosphere for the lush and colorful florals by New Leaf Florist and the rich rental pieces from Eventures | Wedding Styling + Rentals. 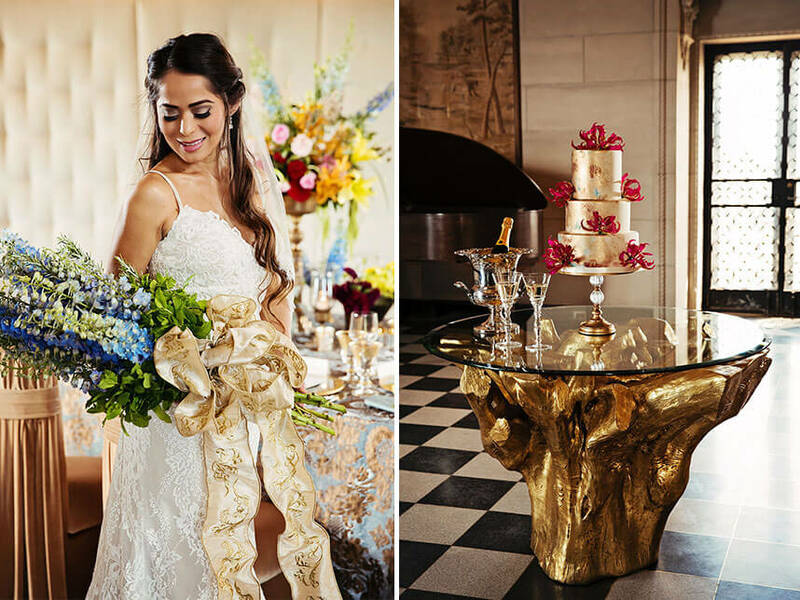 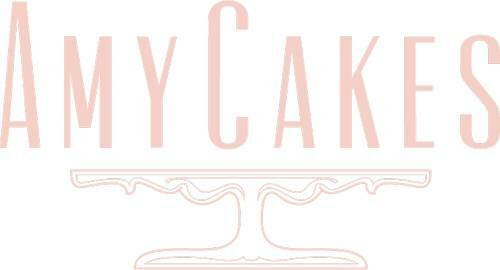 The gorgeous painted cake was created by the very talented Amy Cakes, and the mouth-watering food was made by Mickey Mantle’s Steakhouse. 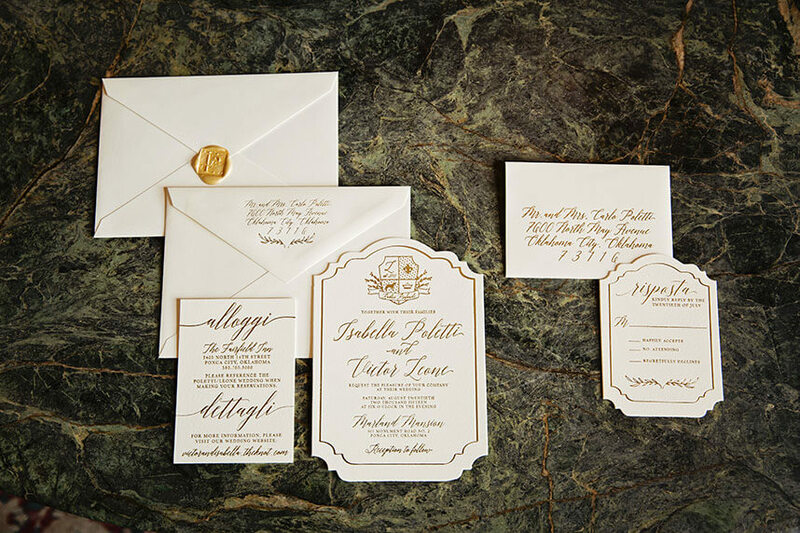 Paper + More captured the elegant feel of the design perfectly in their invitation suite, and Culinary Kitchen provided the gorgeous bar accessories as well as the amazing gold rimmed plates and bowls we are pining for! 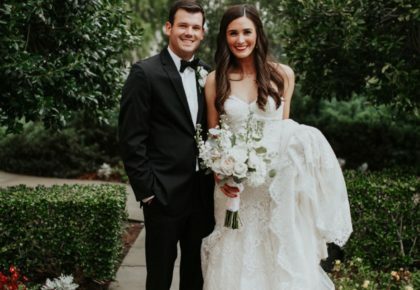 The beautiful model wore an amazing gown from Moliere Bridal that complemented her perfectly. 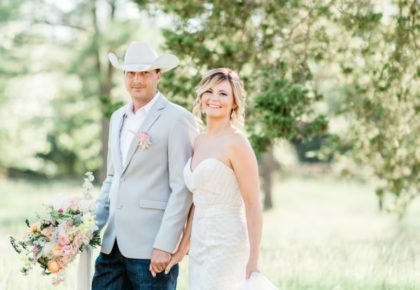 Her gorgeous makeup was done by Atherial Makeup and Skin Studio and her romantic hair was styled by Faccia Bella. 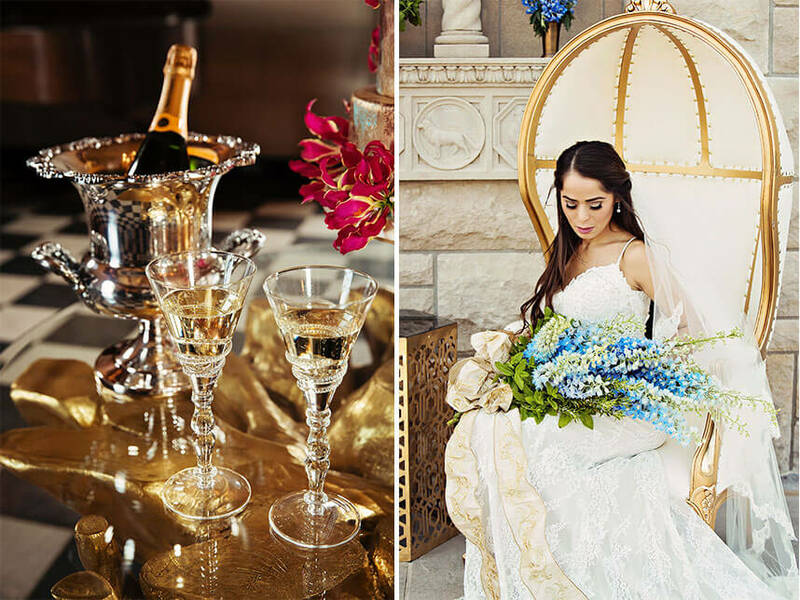 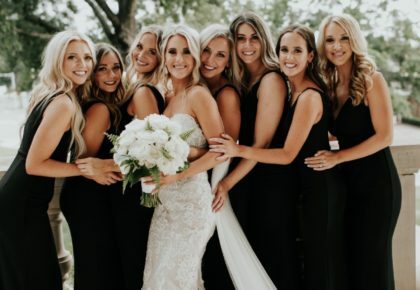 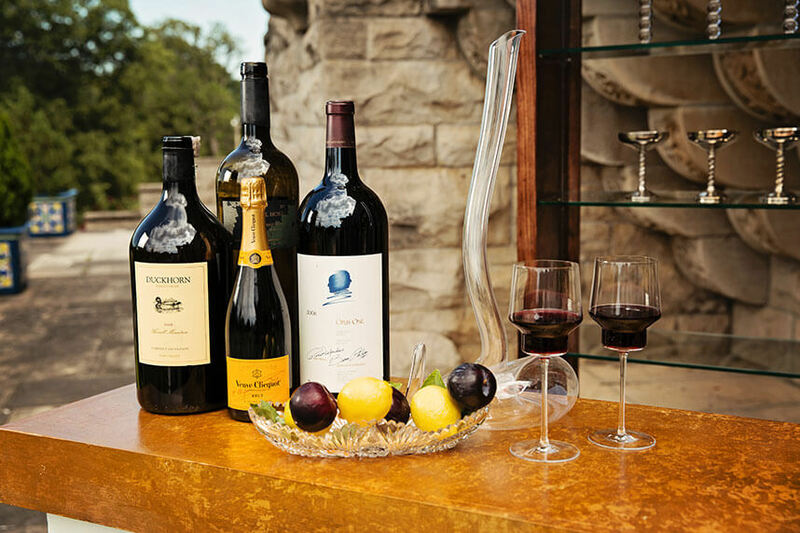 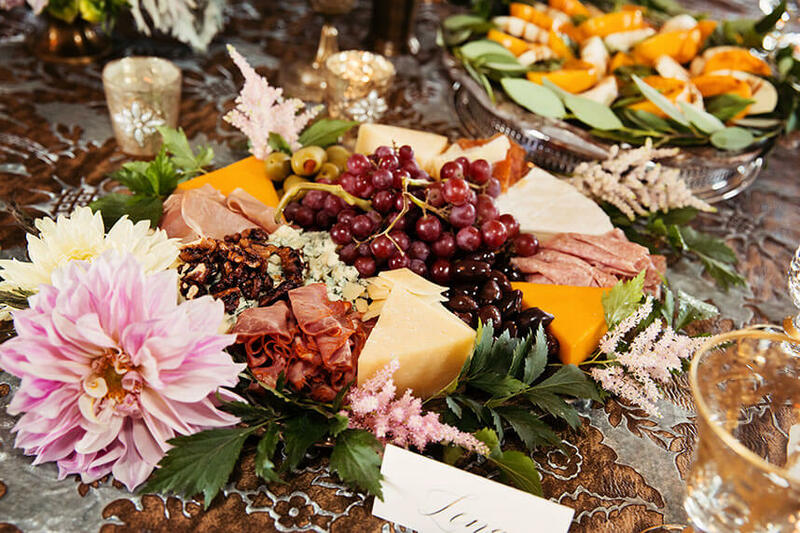 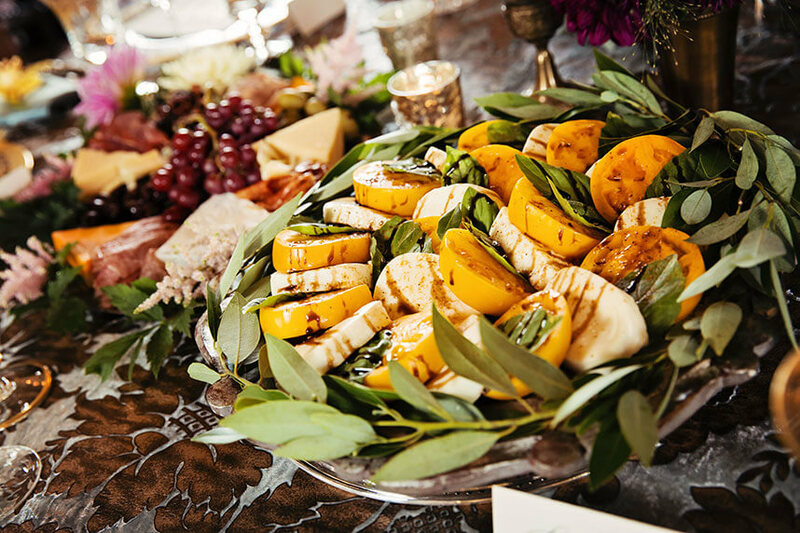 Tara Lokey Photography captured every luxurious detail crisply, and Pen Weddings filmed the scene to create the awesome behind the scenes videos below. 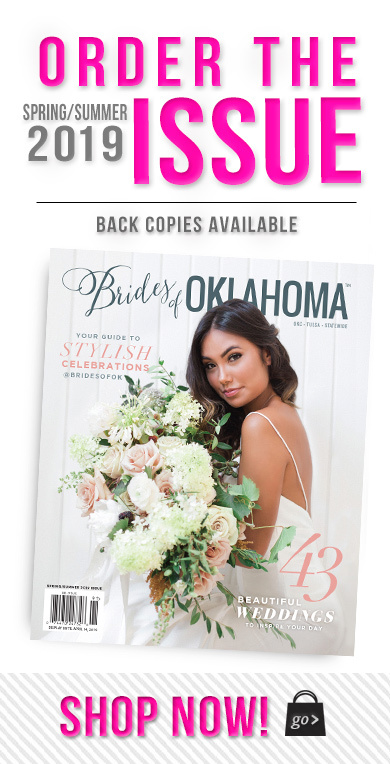 Grab a copy of Brides of Oklahoma to see more from this regal romance shoot!